You’ve written those two lovely words: the end. For some writers, the time is one of celebration—look at what I’ve accomplished! I finished my book! You know only ten percent of writers who begin a book finish it, right? It’s time for the Snoopy happy dance! But … what if it’s not? What if, instead of feeling like celebrating, you feel sad? If you do, there’s absolutely nothing wrong with you. I want to state that up front. Unequivocally. For those of you who don’t, let’s take some time to exercise that vaunted writer’s empathy, and see if we can’t relate to our fellow creators. Whether you’ve written a short story or an epic series, you’ve spent days, weeks, or even years with these characters living in your head. You’ve gotten to know them, probably to love them. You’ve learned about their world, even if it’s one you created. You know so many intimate details about that world that will never be shared with a reader. And now, it’s time to say goodbye to all of that. The end. For some writers, those two words represent a death that must be grieved. For others, it can start a period of darkness not unlike depression. 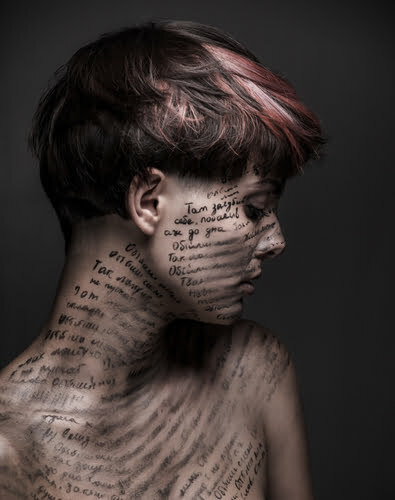 In either case, there may be a period of time during which the writer cannot create, either because they’ve yet to process their grief, or because they are legitimately depressed. While much has been written about Kübler Ross and Kessler’s five stages of grief (denial, anger, bargaining, depression, and acceptance), it has also been suggested that grief isn’t as simple a process as the model would have us believe. Grief defies being corralled into stages with defined timeframes that flow one into another. In truth, the griever can move between any of the stages, in any order, staying in each for an undetermined period of time. They can even get “stuck,” swinging between two or three of the stages in a negative feedback spiral, never reaching acceptance. The truth is, grief takes the time it takes. You have to let yourself experience it, to grok the fullness of it, if that’s your thing. The writing will still be there when you’ve worked through your grief. A new idea will streak through your mind like a comet, and you’ll know it’s time to get back to the page. If you find yourself, after the period of protracted creativity that is writing, feeling listless, exhausted, unwilling to get out of bed, or not enjoying the things (like writing) that usually bring you joy, you may be depressed. Unlike grief, the depression may not be triggered by loss. It may simply be that you’ve spent too long working too hard on your project and not ensuring that you’re getting enough self-care in the mix. This post-creation depression can also be recognized as burnout. Again, the key is to be gentle with yourself. Guilt is not going to help the situation. It can take some time to regain your usual mood and temperament. I also need to caution you at this point that if you think you may be on the side of true depression rather than depression-as-part-of-the-grief-cycle, that you should be attentive. Talk to your loved ones. How are they being affected by this change? Do they think it might be something more serious? Mental health is a serious matter. If you think the symptoms have gone on too long or they’re beginning to have a negative impact on other aspects of your life, please see your doctor. There is no shame in it. Therapy, medication, or both could be what you need to right your craft again. I’m not a doctor or a psychiatrist, but as a writer who lives with depression and anxiety, I can only recommend that you seek professional assistance if you suspect your depression may be of the clinical variety. It’s better to know than to let it go, untreated. 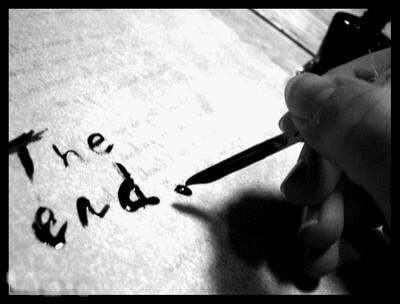 Writing “the end” doesn’t have to mean the end of your creative life. It may just mean that you have to take some time to honor the work you’ve produced, the time and effort you invested in its production, and lay it to rest so that you can make room in your heart and mind for the next, wonderful story you’re going to write. And you are going to write again. I have faith in you. And … if the work you grieve was a single story or novel, you may find, in your time of gentle reflection, that the story is not yet complete, “the end” be damned. Maybe it’s time to write a series! Melanie Marttila is a certified corporate trainer by day and science fiction and fantasy writer by night. 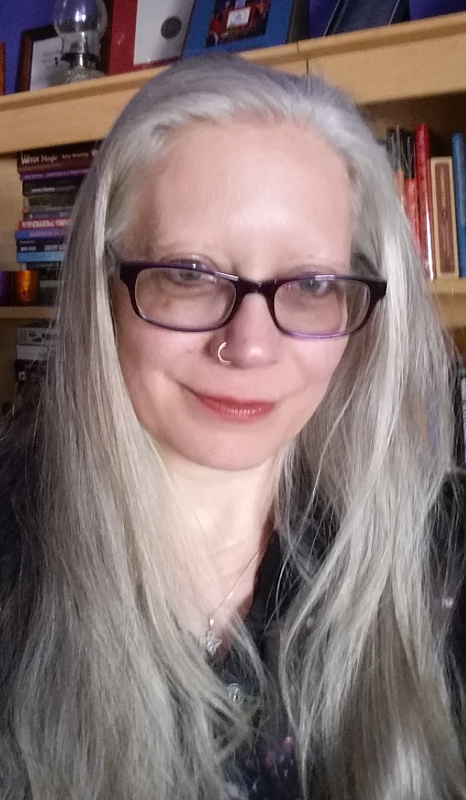 She writes the DIY MFA column Speculations, which is about all things SFnal. Her short fiction has appeared in Bastion Science Fiction Magazine, On Spec Magazine, and Sudbury Ink. You can find Melanie online at her blog, Writerly Goodness, on Facebook or Twitter. Author Melanie Marttila, Depression, Ending a story, science fiction series, Warpworld, Writers grief.